When you watch the Olympics you can't help but notice how beautiful the weather is. Afternoon temperatures today in Rio are in the 70's. 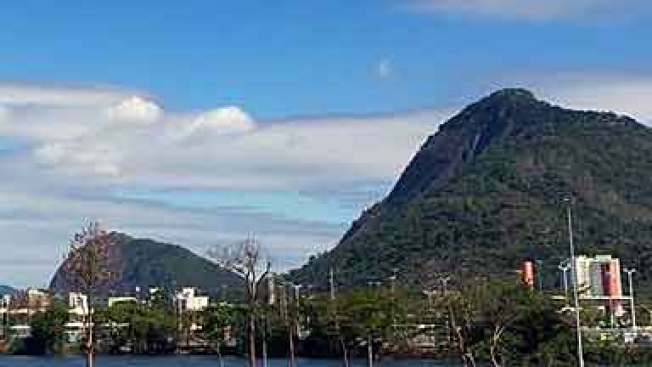 It is winter in the southern hemisphere, but because Rio De Janeiro is near the equator it has a tropical climate. Texas and Rio De Janeiro have opposite seasons and our storms flow in opposite directions. The air around a low pressure systems swirls counter clockwise in the northern hemisphere and clockwise in the southern hemisphere. The reason for this - the Coriolis Effect. Air moves from high pressure systems to low, but because the earth rotates, the wind doesn't flow in a straight line. The winds bend to the right in the Northern Hemisphere and to the left in the Southern Hemisphere. This causes the air around low pressure systems to swirl counter clockwise in the northern hemisphere and clockwise in the southern hemisphere. Click here to read and watch more from the 2016 Olympic Summer Games in Rio.